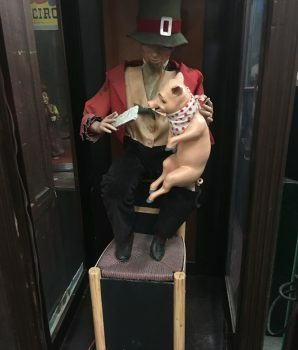 Rare c. 1900’s Gustave Vichy Automaton of a Peasant Boy and Baby Piglet sitting on a wooden chair. 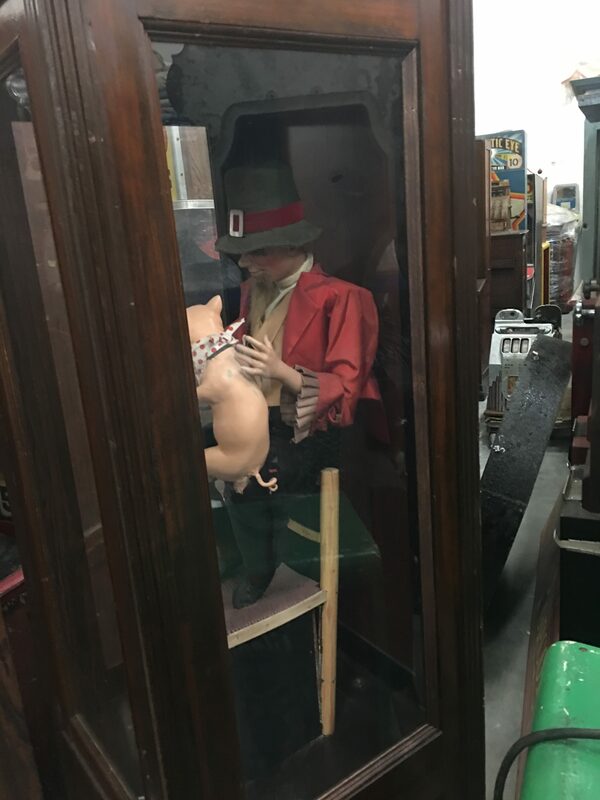 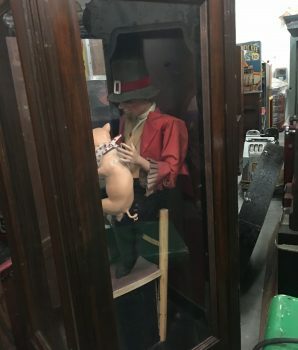 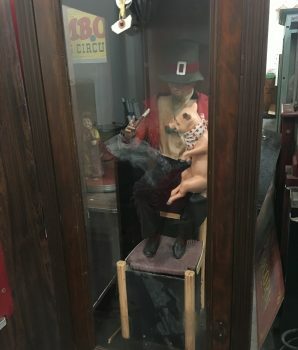 In this coin-operated machine, the peasant boy turns his head and nods, blinks and and moves lip as though telling the piglet to eat the bread or cake which he is offered. 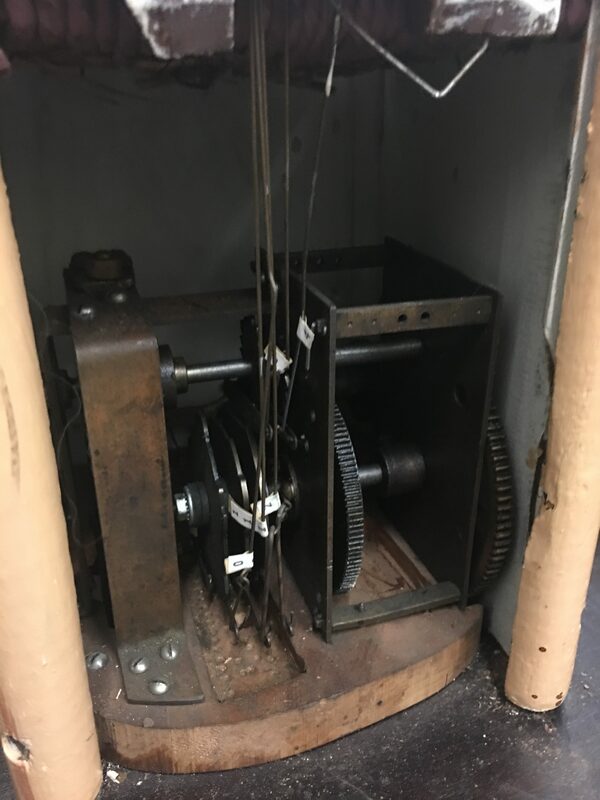 This machine has 7 unique movements. 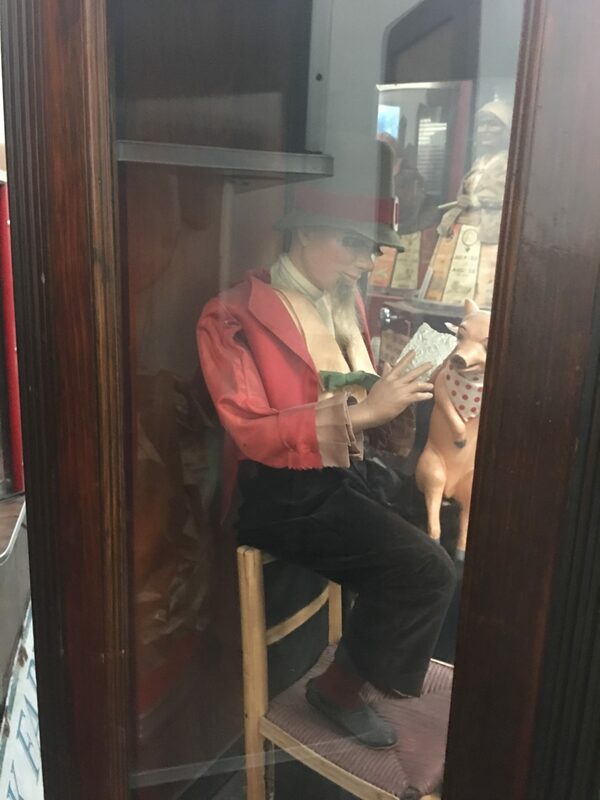 French Paper Mache Vichy Automaton. 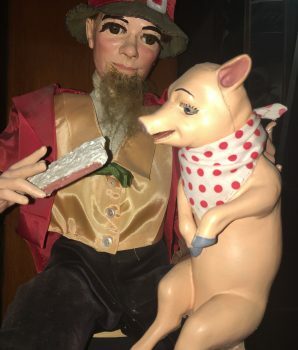 Peasant Boy and Pig / Baby Piglet. 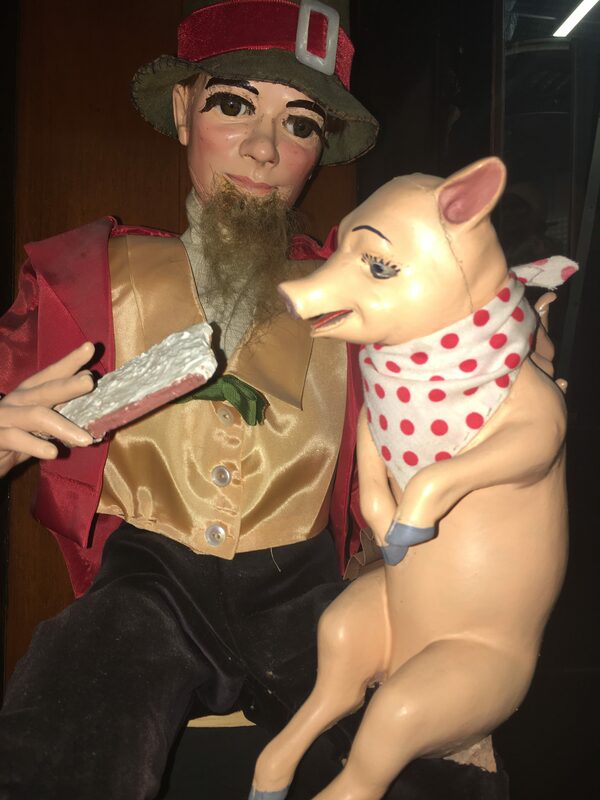 Vichy-Triboulet. 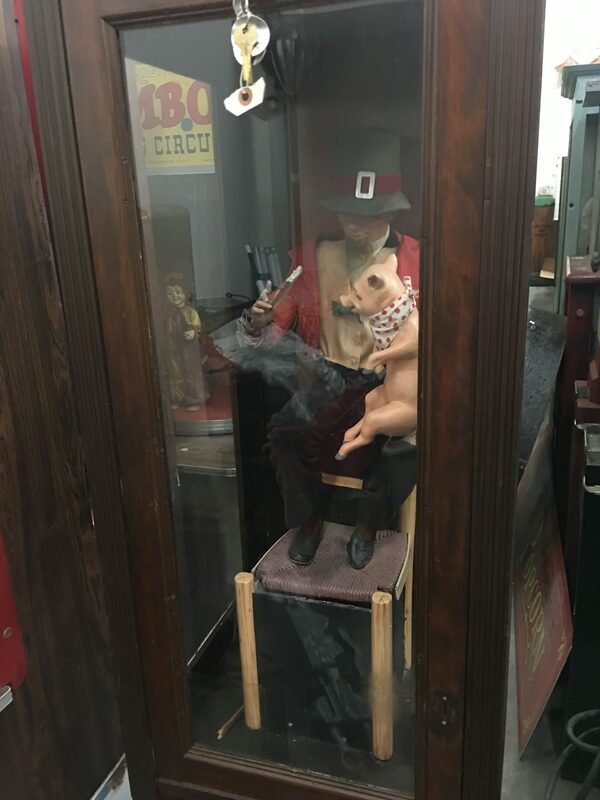 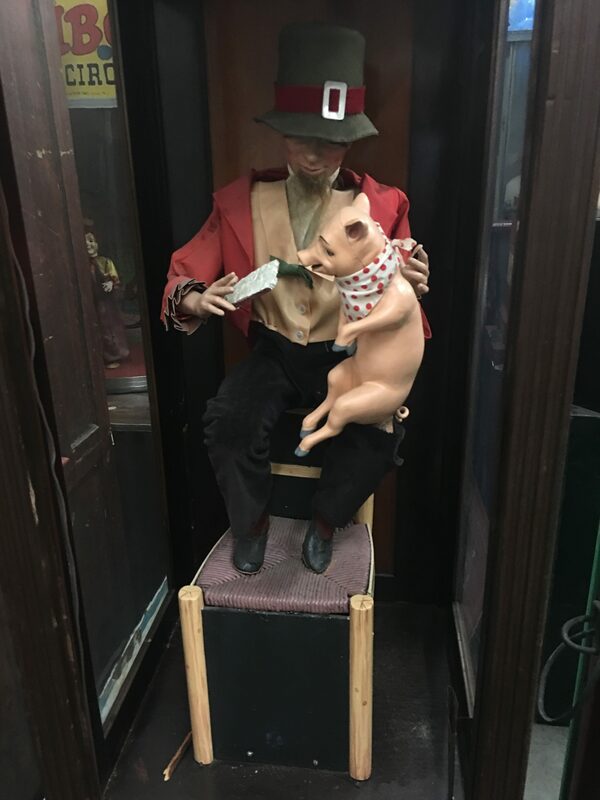 Automaton, wooden chair, boy and pig enclosed in walnut paneled cabinet. 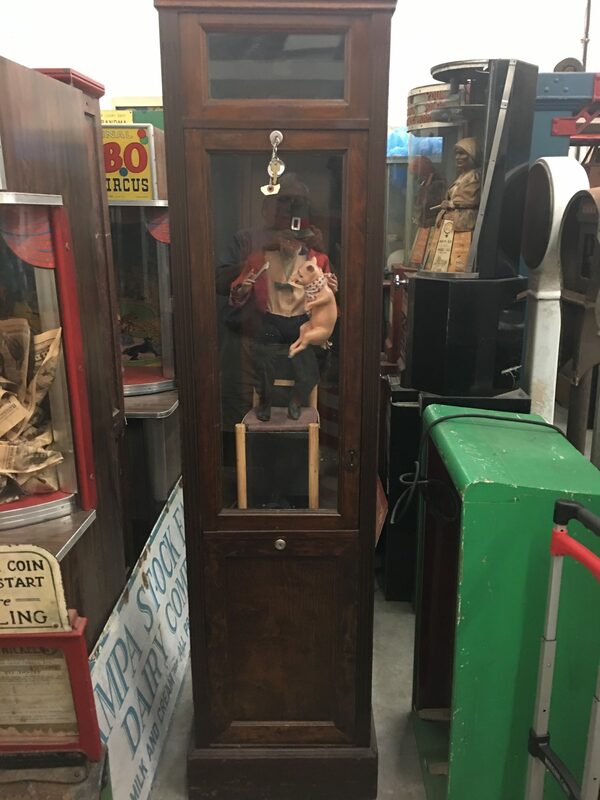 Case stands approximately 6.5 ft tall. 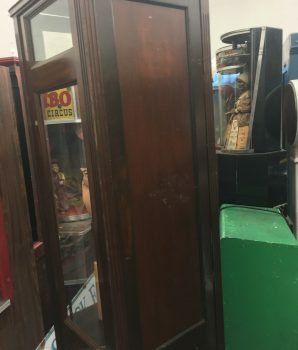 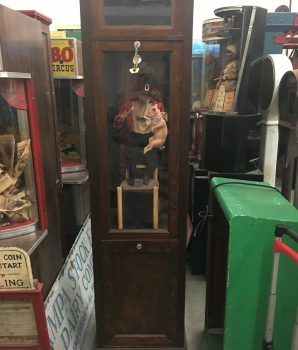 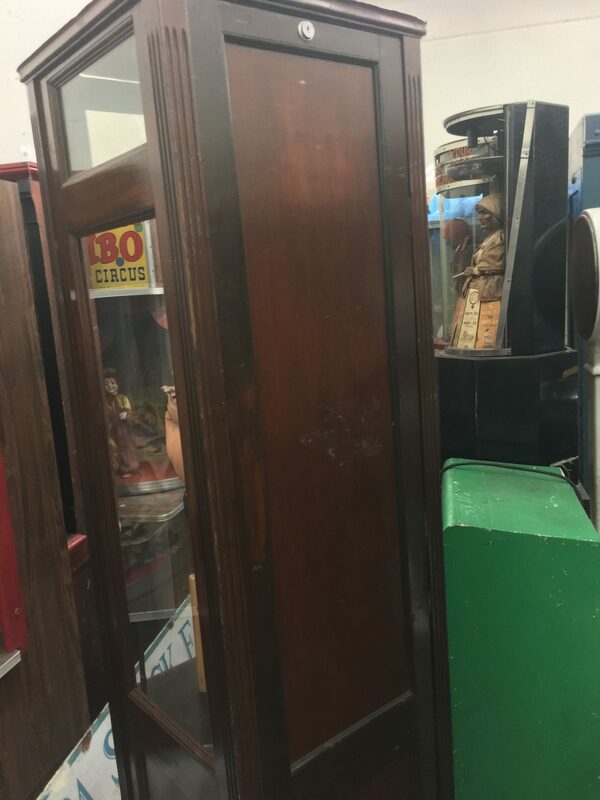 Includes lock and keys to automaton cabinet. 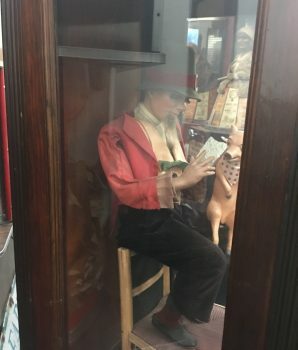 Extremely Rare Vichy automaton. 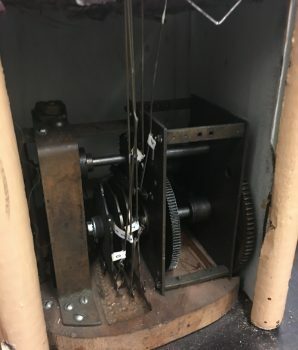 Very few known to exist.